When it comes to Mexican food in our home it’s all about fresh ingredients and slow cooked meats. I first used short ribs for enchiladas and it won over the whole family. Now when we are putting together a menu and a Mexican dish comes up, we’re all like, “chicken who?”. So I made these short ribs and the first night we made tacos. 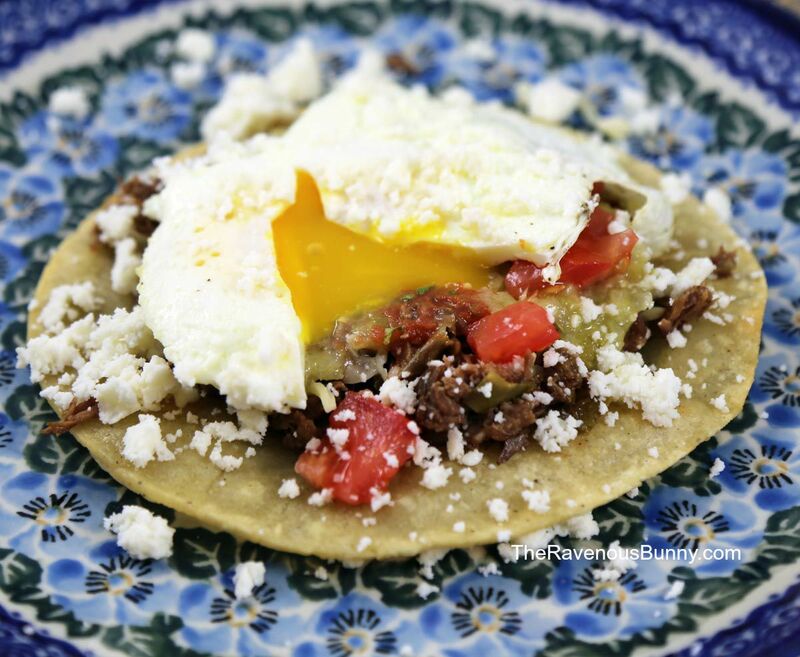 The second night we made tostadas which are basically the same thing only instead of folding the tortilla over, you fry it flat so it’s crunchy and since it was breakfast we added an egg. The third night we had burritos. The fourth night we had grilled cheese because we ate all the short ribs. This is one of those recipes that helps clean out the fridge. I used an Anaheim pepper but is that necessary? Not at all. Add an extra bell pepper or Serrano chili’s or more jalapeño. The only thing I would suggest is to watch your salt. This dish needs to be seasoned correctly. If you use a low sodium broth, make sure to taste and adjust the salt. The meat is of course the star of the show and that is really what this recipe is for. We figure you can decide what you like on your tacos or burritos or tostadas. 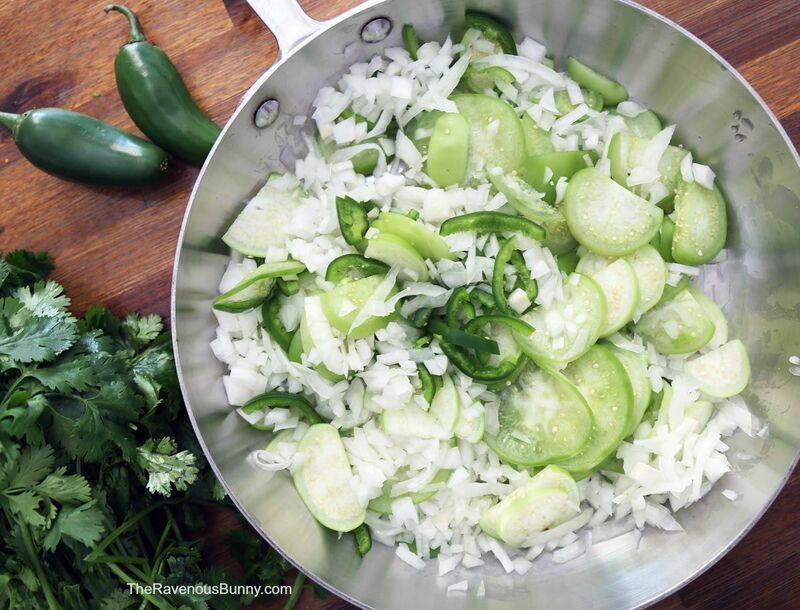 Add beans, salsas, avocado, rice, peppers, onions, cilantro… so many options. I would also strongly suggest you add some queso fresco cheese which is basically just a crumbly white cheese. We used both tomatillo salsa for these and our favorite smooth Colombian red salsa. Don’t forget the avocado! Chop onion, peppers, tomatoes, and leek. Add 3 Tablespoons oil to a large skillet and heat to medium high. Salt and pepper the short ribs generously and add to the heated pan. Sear for 2-3 minutes on each side or until a nice crust forms. Remove each short rib from the heat and place in a baking pan. I used a 9" x 12". In the same pan, add your chopped vegetables and 2 more Tablespoons oil. Stirring often, cook for two minutes. Add garlic, cumin, chili powder and tomato paste and mix throughout. Add tequila and beef broth and let come to a simmer cooking for 5 minutes. Remove from the heat and carefully poor everything over the short ribs. Cut the orange in half and cut a few thin slices from it. Squeeze the juice from the rest over the short ribs. Place the orange slices on top. Cover with foil and put in the oven for three hours or until fork tender. Once it's fork tender remove from the oven. Shred the beef and set aside. Take all the juices and vegetables (remove the orange slices) and carefully pour into a blender. Pulse until you have a thick sauce. Add at least 1/2 of this mixture to your shredded beef.